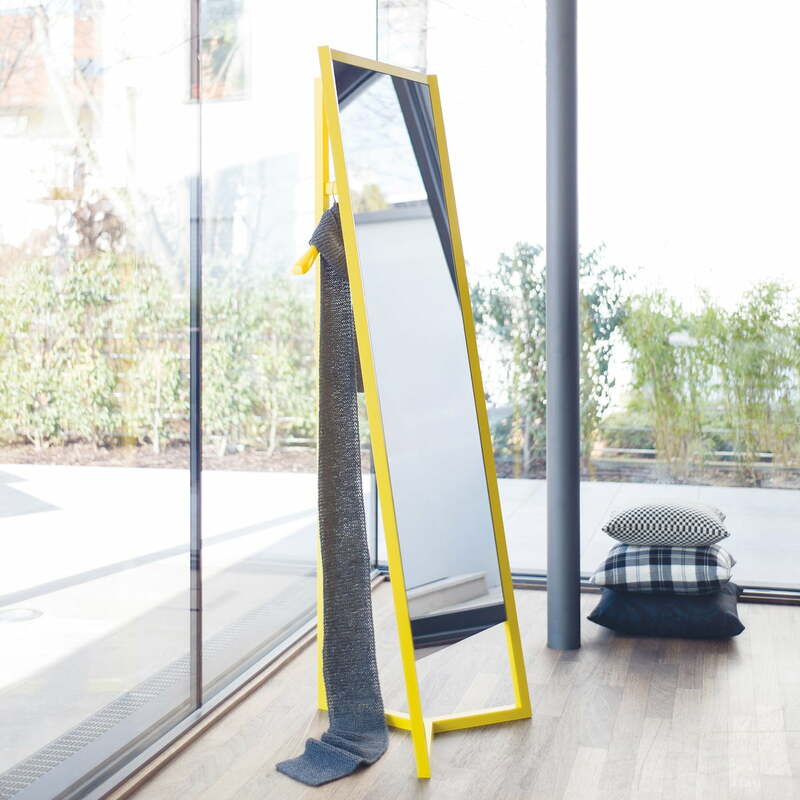 Club by Something Design Studio for Schönbuch is a coat rack and mirror in one and stands for functionality and design. It is the ideal solution for narrow hallways and acts as a highlight in any home with its original structure. The frame of the hall stand with an integrated mirror is made from solid oak or oiled walnut. The oak can be lacquered in many different colors. The back of the mirror can either be in matching wood / color or veneered. Behind the mirror there is plenty of space for jackets and coats, that are hung up on the pole with hooks or coat hangers. 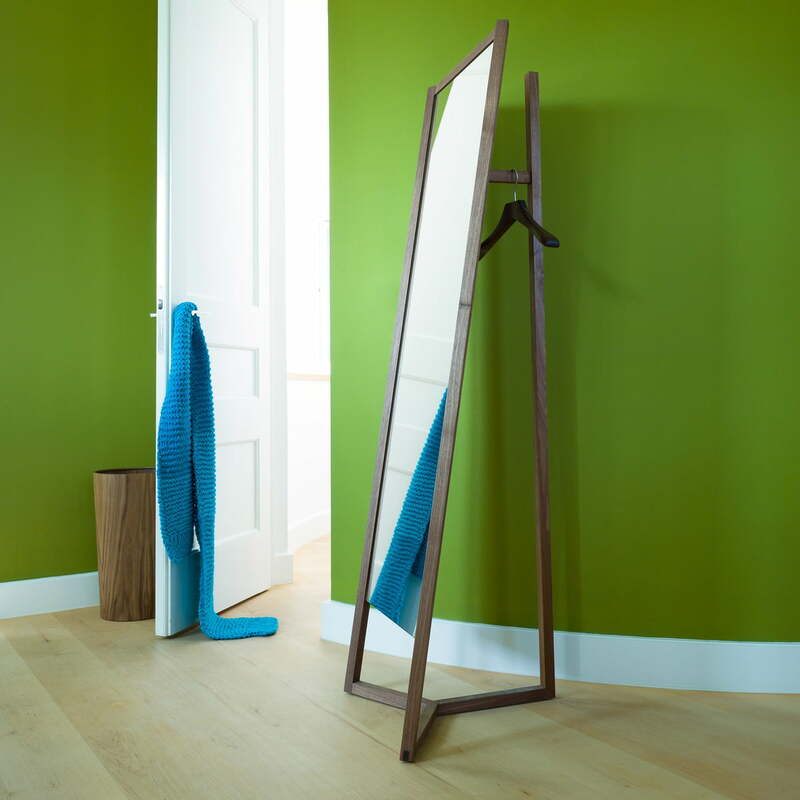 Club mirror coatrack by Schönbuch in natural oiled oak: Club by Something Design Studio for Schönbuch is a coatrack and mirror in one and stands for functionality and design. Lifestyle product image of the Club mirror coatrack by Schönbuch: It is the ideal solution for narrow corridors and acts as a highlight in any home with its original structure. Lifestyle product image of the Club mirror coatrack. 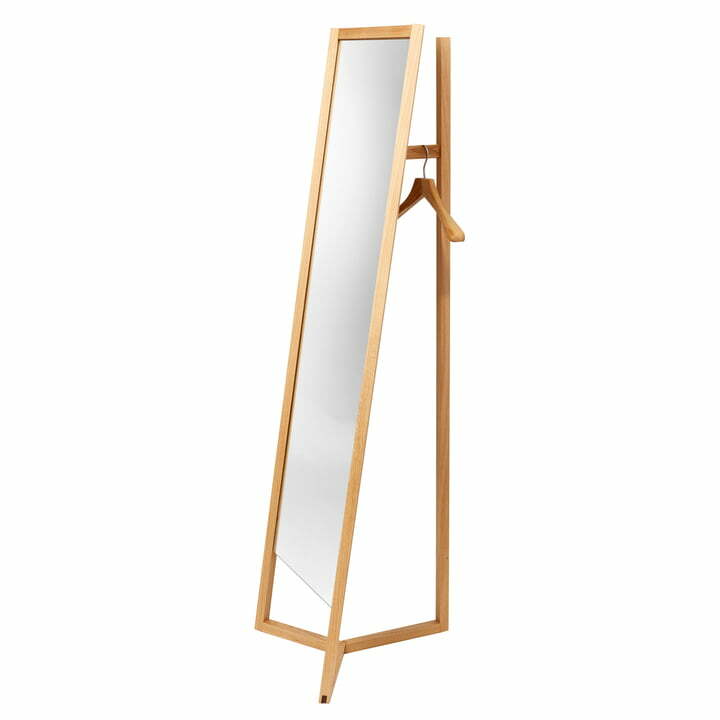 The frame of the wardrobe with an integrated mirror is made from solid oak or oiled walnut. The oak can be lacquered in many different colours.